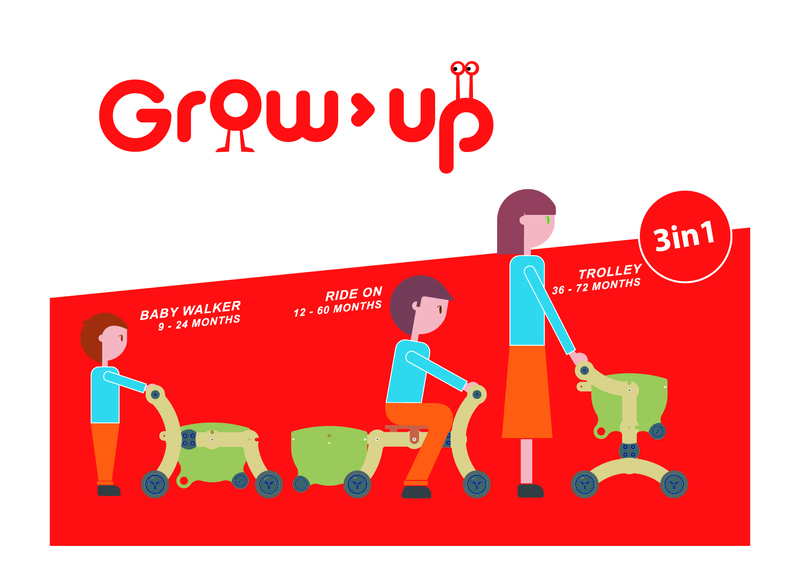 GROW UP is aimed at accompanying babies from the moment they start to walk till the age of six. 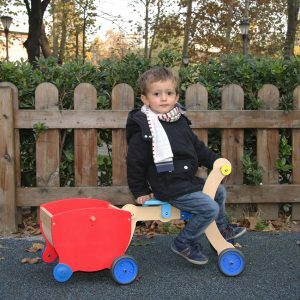 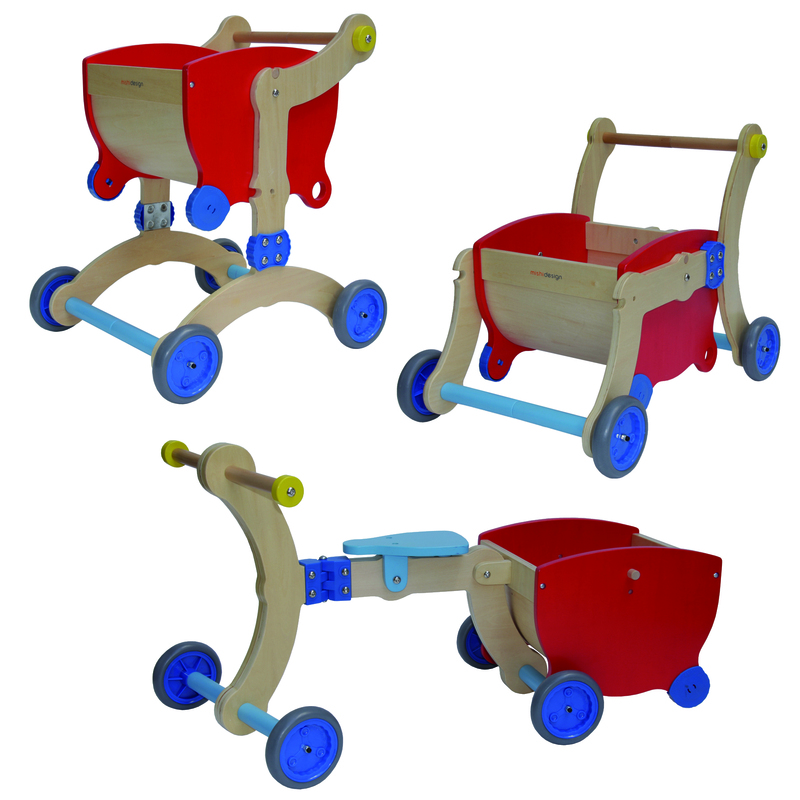 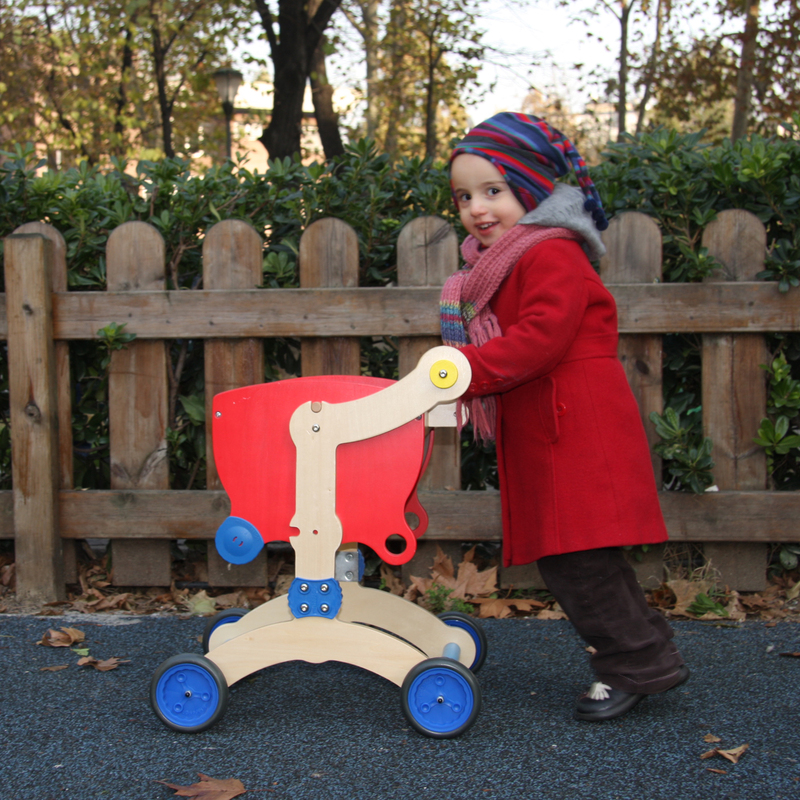 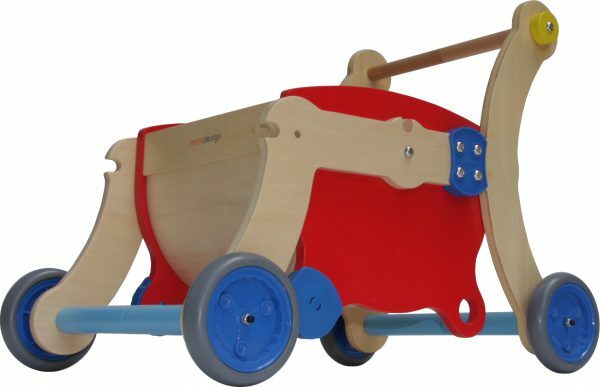 It allows children to transport their toys in the specially designed basket. 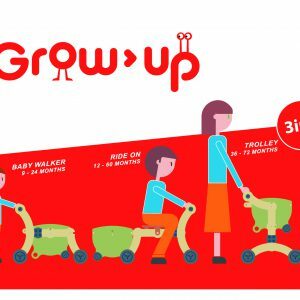 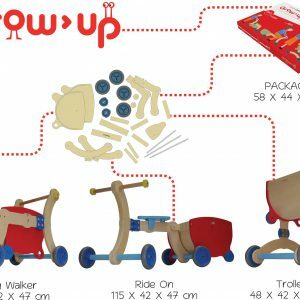 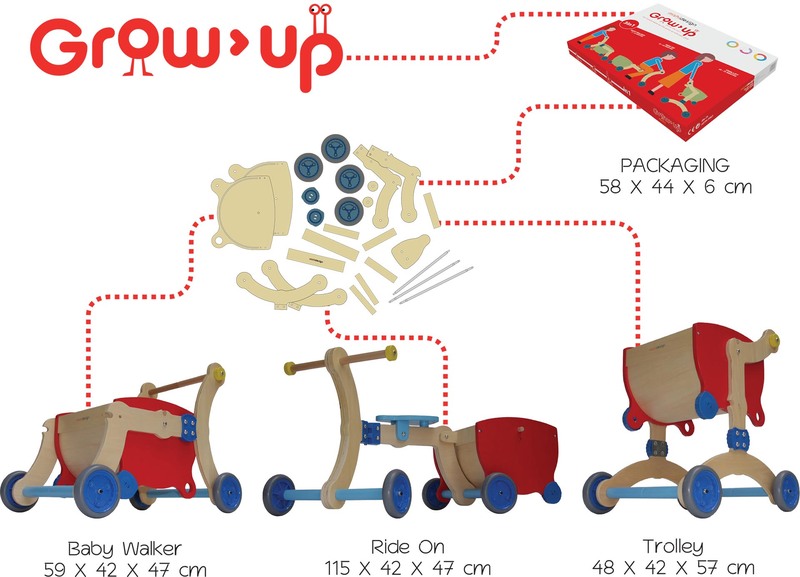 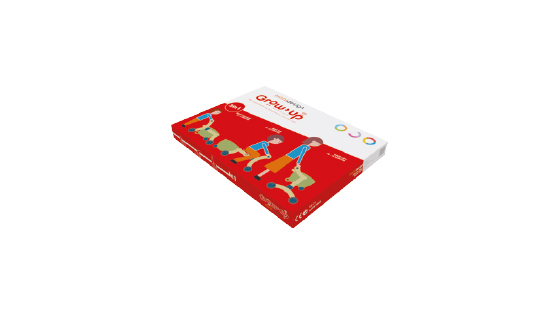 GROW UP is used as a baby walker when children start to taking their first steps. 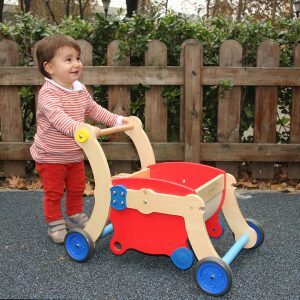 The design of the framework is completely tipper and topper proof when they use the handle bar to pull themselves to standing position. As the child gain balance and mobility skills GROW UP can be transformed into a ride on toy with a basket and later on into a trolley.